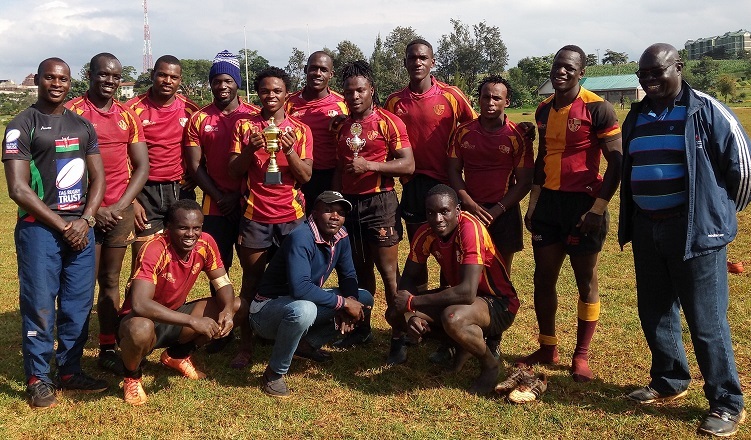 Kenyatta University's Blak Blad stopped Masinde Muliro University of Science and Technology (MMUST) 31-21 at Kaimosi on Sunday July 8 to lift the third leg of Kings of Rugby trophy. Blak Blad scored five tries against MMUST's three - all by Silvester Shirevo. Each converted three. MMUST led 14-5 at half time. Brian Waihinya's opening unconverted try was countered by two from Silvester Shirievo - both converted by Timothy Mmasi as the game went to the break. Waihinya - later named the Most Valuable Player - completed his brace in the second half and a conversion from Kelvin Gathu had the game at 14-12 and they soon pulled away with added tries from Brian Kadenge and Steve Odhiambo. Gathu who booted in the two scored the final try for Blad to lead 31-14. Shirievo's converted try for MMUST thereafter added to the consolation points. Shirievo was later named the top try scorer at Kamosi. For a place in the final, Blak Blad stopped UoN as MMUST saw off USIU. USIU and UoN booked their places in the semis with 15-0 and 19-7 wins over TUK and Multimedia, as MMUST and Blak Blad beat UoE 28-5 and Kabarak 31-7, respectively. 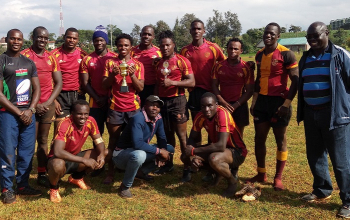 It was the third straight Kings of Rugby tournament that MMUST and Blak Blad were meeting in the final. 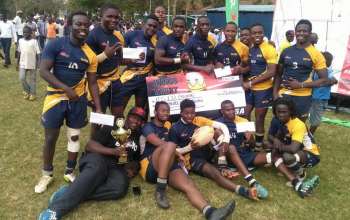 During the first leg held in Nyeri in early June MMUST hit Blad 10-7 to win the first leg (Dekut) hosted by Dedan Kimathi University. Blad were to turn the tables during the second in mid-June by winning the second leg hosted by Technical University of Mombasa (TUM) 17-0. The competition now heads to the penultimate round to be hosted by Egerton University in Njoro on 14-15 July. Two weeks after the University of Nairobi will host the final leg.